"From the outset, Boeing has been 100 percent focused on responding to the needs of our Air Force customer and preparing a competitive proposal. 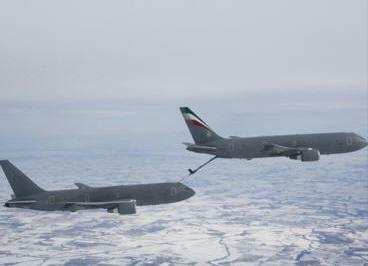 Only Boeing can produce a tanker that will meet the Air Force's 372 requirements and promise delivery of a combat-ready, safe and survivable tanker that is the most capable for the warfighter, the lowest cost for the taxpayer, and backed by Boeing's proven U.S. work force. "We are confident in the superior value and capabilities of our NewGen Tanker and intend to present a compelling case for it in our proposal. While we are disappointed in the bid submission delay, we hope for a fair and transparent competition free of any additional changes intended to accommodate a non-U.S. prime contractor.